This feature requires the Flash Player plug-in. Many of the site's interactive elements were developed using Adobe Flash. To fully enjoy the site, you must have at least Version 10 of the Flash player installed. You can download the Flash Player here. ©2010 FluerColeYoko. All Rights Reserved. This site is intended for U.S. residents only. Various design elements are trademarks of FluerColeYoko. We are not responsible if you die. PLEASE CONSULT YOUR PHYSICIAN OR OTHER QUALIFIED HEALTHCARE PROFESSIONAL BEFORE USING ANY PRODUCT DISCUSSED HERE OR WITHIN ANY OF OUR OTHER WEB SITES. Promptly see a qualified healthcare professional if you have or suspect that you have a medical condition. This site may contain information related to various health, medical and fitness conditions and how they might be best treated. It is not our intention or desire for that matter that you use the information contained herein either on this site or on some site that you think is ours as if it were some kind of medical gospel truth. Don’t go diagnosing yourself based on it. Don’t think you can suddenly treat yourself just because you can tap out the http to some web site. If you have or think you have an actual medical condition then pick up the phone and call your own doctor. 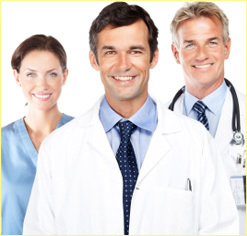 Only a qualified healthcare professional can tell you whether or not you should use any medicine or other treatment. Except for NZT that is. In the case of NZT, you know what your situation is and what you want your situation to be. Only a qualified healthcare professional can determine if a product described here (other than NZT that is) or on any of our other websites would be appropriate for you to use. Get real. Grow up. Stop reading the boilerplate. Only your qualified healthcare professional is in the best position to discuss with you the risks and diagnostic of any treatment (excluding NZT unless they’re already onboard). This information is intended only for residents of the United States. The product information provided in this site is intended only for residents of the United States. The products discussed herein may have different product labeling in different countries. FCY is a pharmaceutical company committed to helping people improve their lives by discovering and developing incredible new drugs such as NZT. Trust us – there’s not much in this world that NZT can’t solve.